Baptised in Holy Trinity, Tulse Hill, London. 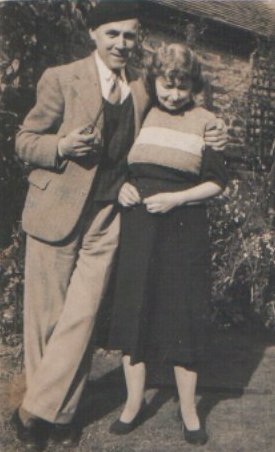 Married Ada Anniss in Brentford, Middlesex. Birth of son Antony Anniss Drewry in Acton, London. Birth of daughter Yvonne Drewry. 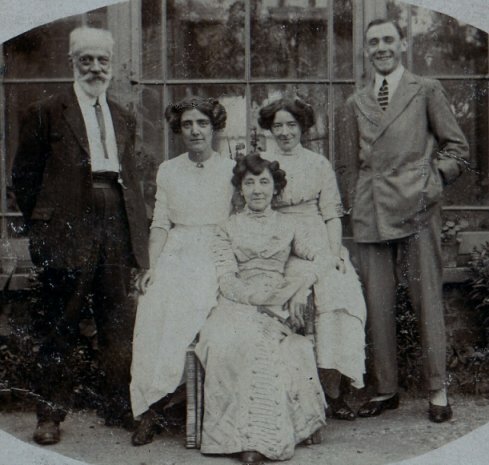 Death of Ada Anniss in Birmingham. Baptism record - Holy Trinity, C. of E., Tulse Hill. Why is Alfred's baptism 8 years after his birth? 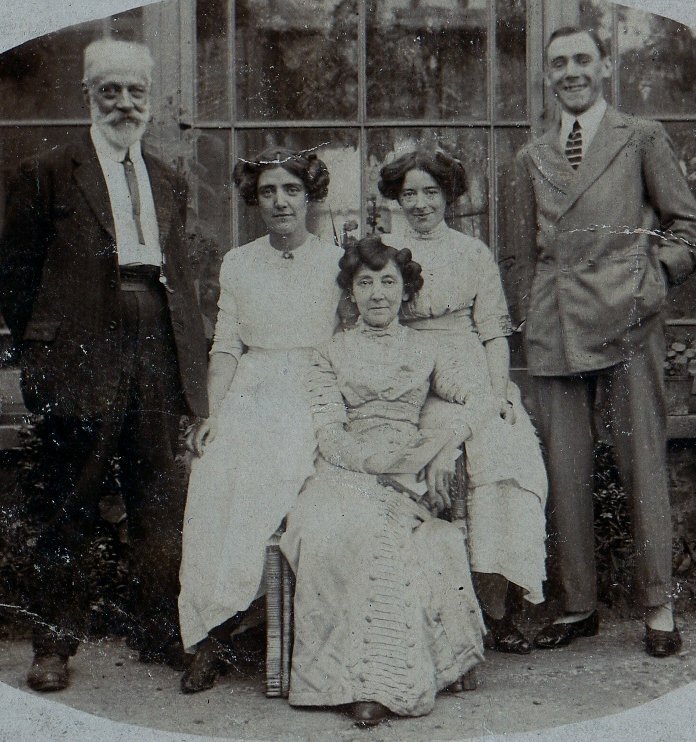 The family address is 55, Deronda Road. Alfred owned a Motor Parts shop in Manchester, in what is now the Great Northern Warehouse. 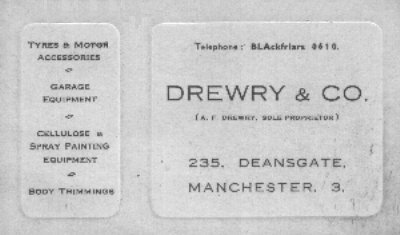 An entry 'Drewry & Co – Motor Tyre Factors' is in the Manchester phone book from from about 1929 through to 1944. 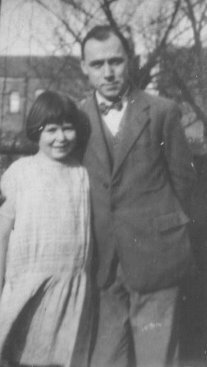 Alfred is shown as 27 yrs; bachelor; Motor Salesman; living at: 21, Ravenscourt Road, Ravenscourt Park. 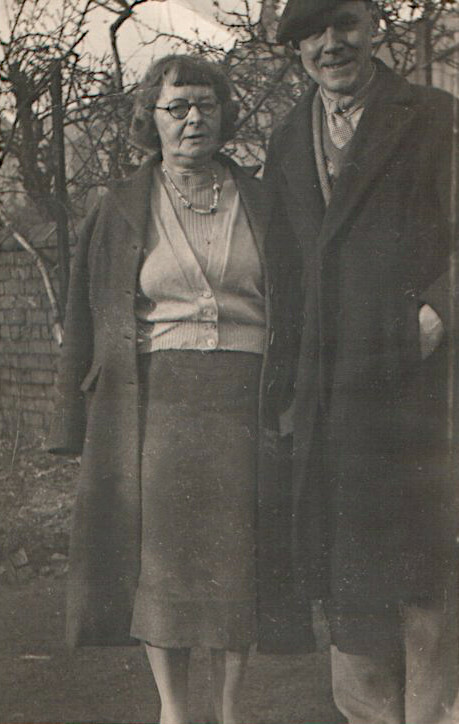 Ada is 30 yrs; spinster; living at: 46 Eccleston Road, West Ealing. 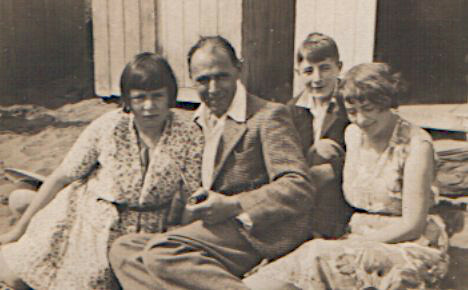 On 11th October, 1951, Alfred and Ada Drewry, aged 63 and 66, home address: 6, Clinning Road, Berkdale, Southport, sailed from London on the Union-Castle Line ship Bloemfontein Castle, on their way to Durban to visit their son Tony and his family. 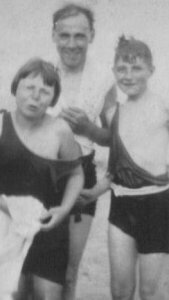 While he was in South Africa Alfred also tried, unsuccessfully, to find information regarding his brother William. 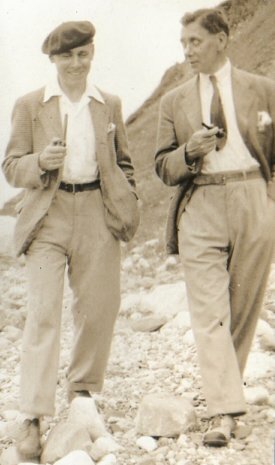 Alfie and Ada left South Africa on 6th April,1952, travelling to London on the Rhodesia Castle.